Whether you are taking a hike or heading to the grocery store, the AirSep FreeStyle Harness System is one of the easiest and most comfortable ways to tote the FreeStyle around. 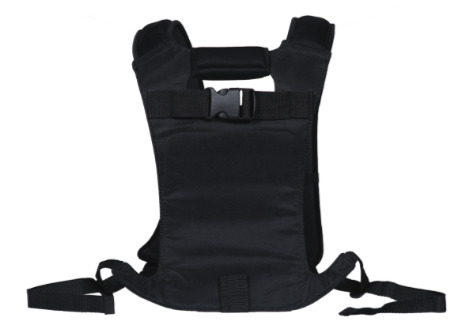 The harness system is equipped with padded straps and a padded back. No more nylon straps digging into your shoulders, no more dealing with your concentrator digging into your back or side, the padded material is a dream come true. Rather than putting all of the weight on one side of your body, the AirSep FreeStyle Harness System evenly distributes the weight of the concentrator over your whole body. This can prevent your arms and shoulders from feeling fatigued or tired from carrying the machine, give you a better center of balance, and it can even help preserve energy.